[February 5, 2018] Sheridan is committed to providing users with a safe and secure computing environment that protects Sheridan’s electronic resources and the privacy of individuals against increasingly sophisticated phishing attempts, spam and malware. 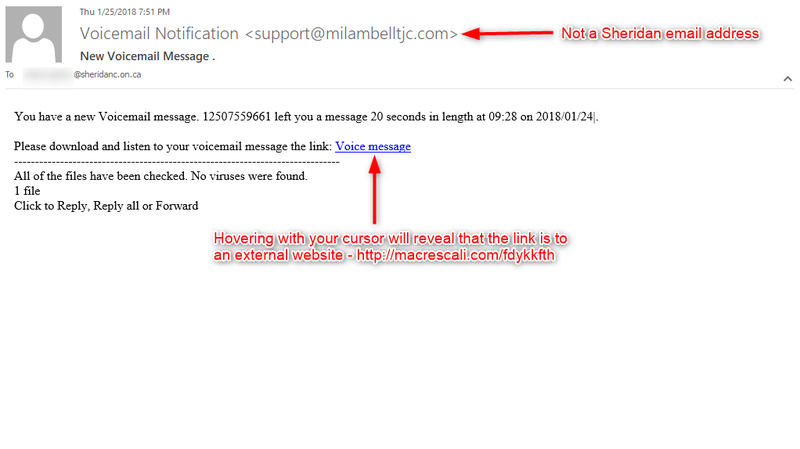 Most of all, if the voicemail email you’ve received is missing these elements it’s not from the Sheridan voicemail system and likely fake. 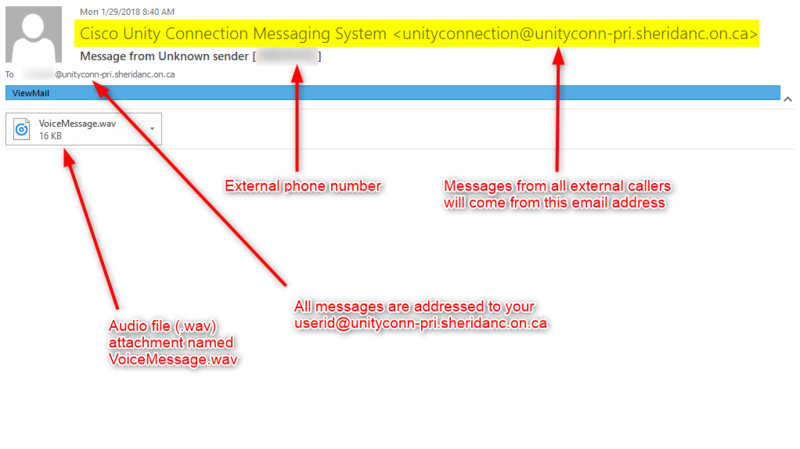 Example of a Legitimate Sheridan Voicemail External Caller Message Received as an Email Attachment. 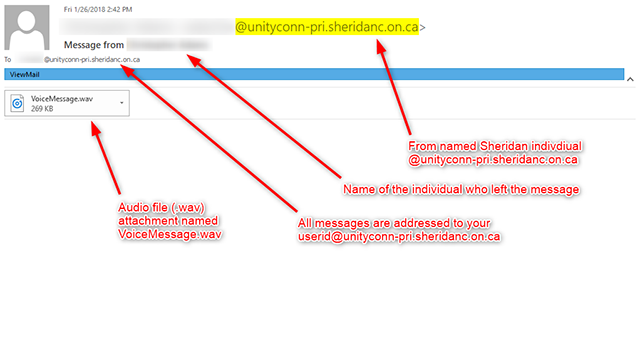 Example of a Legitimate Sheridan Voicemail Internal Caller Message Received as an Email Attachment.